We had a vision filled weekend with Mt. Zion Assembly Healing Temple. 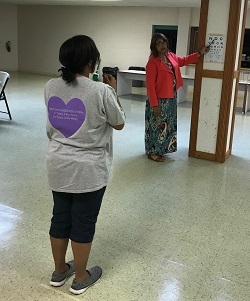 Church and community members participated in our adult vision screening training, becoming Certified Adult Vision Screeners. Additionally, an adult vision health education session took place, educating community members on the importance of incorporating healthy vision habits into their everyday lives. At the end of the educational session, Mt. Zion Assembly Healing Temple put on a cooking demonstration, incorporating foods that promote and aid in good vision health. Thank you so much Mt. Zion Assembly Healing Temple - we are so lucky to have such dedicated and ambitious adult vision health advocates in the Milwaukee community! 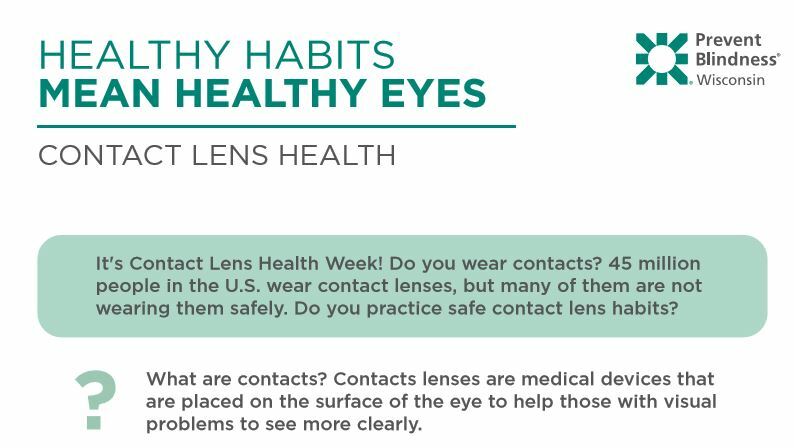 During the week of August 20-24, the vision health world celebrated Contact Lens Health Week. This promotional campaign focused on the importance of forming and maintaining healthy contact lens habits for children, young adults, and their parents. Over 45 million Americans wear contact lenses, but many of them don’t properly take care of them like they should. Some of the most dangerous, but most common habits of contact lens wearers include: sleeping with their contacts in, swimming or showering with their contacts in, and not cleaning their contacts or the case properly. To learn more about Contact Lens Health Week and safe contact lens habits, click here. Celebrate 60 Years of Saving Sight! Join Prevent Blindness Wisconsin at the Celebrity Waiters Dinner as we celebrate 60 years of saving sight on Wednesday, October 24 at the Italian Community Center. Since our founding in 1958, Prevent Blindness Wisconsin has provided free certified vision screenings to more than 7 million Wisconsinites. This past year, Prevent Blindness Wisconsin's volunteers and partners provided free certified vision screenings to more than 260,000 children throughout the state. Highlights of this year’s event will include a wine pull, special raffle, silent and live auction, paddle raise, the presentation of the Community Partner Award to Northwestern Mutual and more! Purchase tickets online or contact Bridget at 414-765-0505 ext. 107 or [email protected]. Sponsorship opportunities are available! Please contact Julie 414-765-0505 ext. 102 or [email protected]. 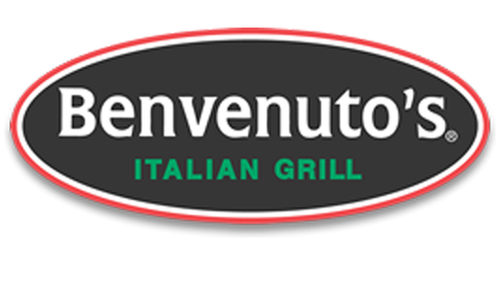 On Monday, September 17 all Benvenuto's locations in Wisconsin will be participating in a grassroot fundraiser to support Prevent Blindness Wisconsin’s vision health services. Whether it is dine in or carry out— 20% of each bill gets donated back to PBW if you mention our name to your wait staff. Participating locations include: Beaver Dam, Fitchburg, Fond du Lac, Madison, Middleton, and Oshkosh. Mention Prevent Blindness Wisconsin and help us fulfill our mission and sight-saving services statewide! Invite friends on Facebook! 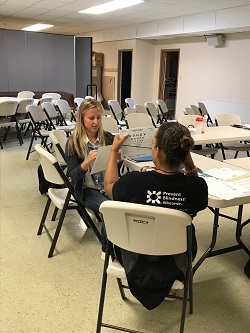 In August, staff from the Next Door Foundation, Acelero, CAP Services, Advocap, and Indianhead Community Action Agency Head Starts became certified as children’s vision screeners. These staff will be providing vision screenings to their Head Start and Early Head Start children. Our partnership with Head Starts helps to ensure that over 11,000 low income children statewide have healthy vision for school readiness. If you would like your staff certified, click here to view our upcoming training schedule or contact Shelby at [email protected]. On Thursday, August 2, Eau Claire City-County Health Department hosted a Certified Children’s Vision Screener training. Thanks to special funding from the Eau Claire Community Foundation, we were able to train and certify 46 Public Health Nurses, Public Health Aides, and Lions club members. 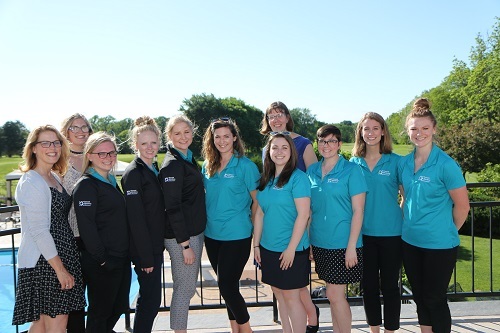 Thank you to all our newly certified vision screeners and the Eau Claire Community Foundation for helping us achieve our vision for each Wisconsin resident to have healthy vision at every stage of life. View the Prevent Blindness Wisconsin Certified Children’s Vision Screener Training Schedule. There is still time to register for a Volunteer Children's Vision Screener Training. 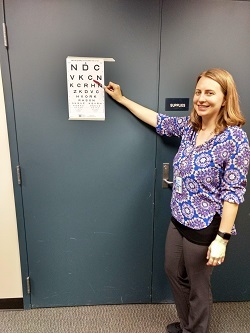 This fall, all Prevent Blindness Wisconsin volunteer vision screeners are transitioning to a more simplified and efficient preschool vision screening chart called the EyeCheck. 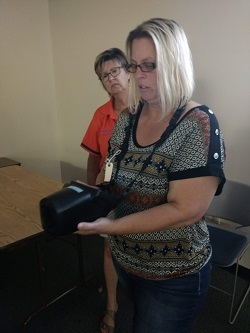 If you are currently a member of a Prevent Blindness Wisconsin volunteer group, we ask that you attend this training this fall to become certified on the EyeCheck. OR if you have thought about becoming a volunteer vision screener, now is an eye-deal time to sign up and become one! Volunteers should register for any training titled, "Children's Vision Screener Training for Community Volunteers." Please call our office at (414) 765-0505 with any questions. Please visit our website for additional training dates. 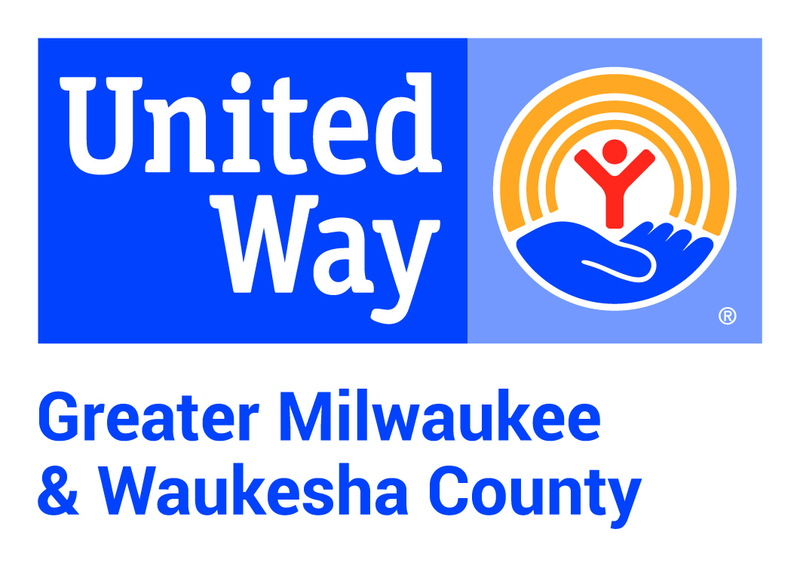 This fall direct your United Way workplace contribution pledge to Prevent Blindness Wisconsin to support our vision for each Wisconsin resident to healthy vision at every stage of life. Prevent Blindness Wisconsin's code is 53904 and is listed under Community Health Charities. We appreciate your support! Order your shirts for World Sight Day! World Sight Day is an annual day of awareness held on Thursday, October 11, 2018, to focus global attention on blindness and vision impairment. This year's call to action is #EyeCareEverywhere. 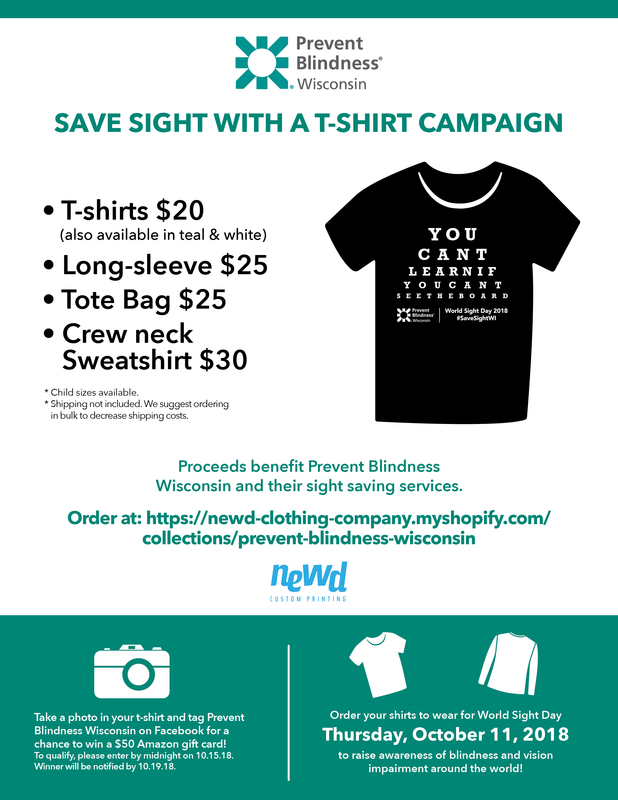 Raise awareness for much needed vision services and support Prevent Blindness Wisconsin by purchasing a t-shirt, long-sleeve, tote, or sweatshirt! Take a photo in your t-shirt and tag Prevent Blindness Wisconsin on Facebook and/or Instagram for a chance to win a $50 Amazon gift card! (To qualify, please enter by midnight on 10.15.18. Winner will be notified by 10.19.18). *Order t-shirts by Wednesday, October 3 to ensure delivery by World Sight Day. Thank you Potawatomi Hotel & Casino for a wonderful surprise gift this August! 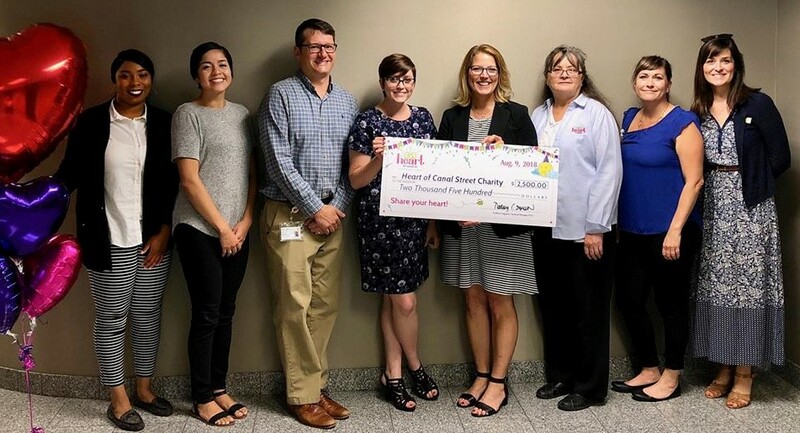 In honor of the 25th anniversary of the Heart of Canal Street community program, Potawatomi Hotel & Casino surprised Prevent Blindness Wisconsin with a $2,500 check to support our Children’s Vision Screening program in the Greater Milwaukee Area. Thank you Potawatomi Hotel & Casino for supporting our community through the Heart of Canal Street program and for helping us ensure children in our community have healthy vision to learn, play, and grow! September is Sports Eye Safety Month! Strike! Foul! Check! Physical activity and being a part of a sports team is a great outlet for children and can help with their social, mental, and physical health. 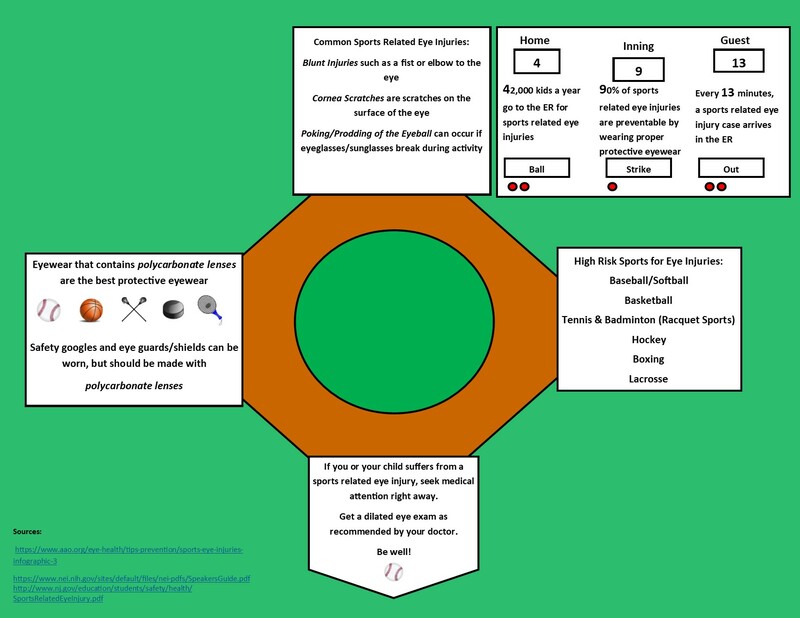 However, there are risks to your child’s vision health if they are active in particular sports. Sports such as basketball, lacrosse, and baseball run a high risk of injuring your child’s developing eyes and sight. If your child is involved in these sports, consider purchasing polycarbonate sport glasses to protect their eyes. Learn more about protecting your child’s sight from sports-related injuries. Prevent Blindness Wisconsin currently has two positions open. Please submit a cover letter, resume and, three references via email to Breanna Overesch at [email protected]. Your support allows us to carry out our vision for each Wisconsin resident to have healthy vision at every stage of life. Dine-in or carry-out! Prevent Blindness Wisconsin will receive 20% of proceeds when our name is mentioned. Mention Prevent Blindness Wisconsin to support our sight-saving services! Join in the celebration of 60 years of saving sight! 20% of sales will benefit Prevent Blindness Wisconsin. You can't learn if you can't see the board! Be sure to order early to have your shirt by World Sight Day on Thursday, October 11! Founded in 1958, Prevent Blindness Wisconsin improves the lives of children, adults, and families through early detection of eye conditions to prevent blindness and preserve sight. On-going vision screening activities and state-wide public health education lead to a lifetime of healthy vision.